Are You Ready for an Emergency Evacuation? Take a moment. 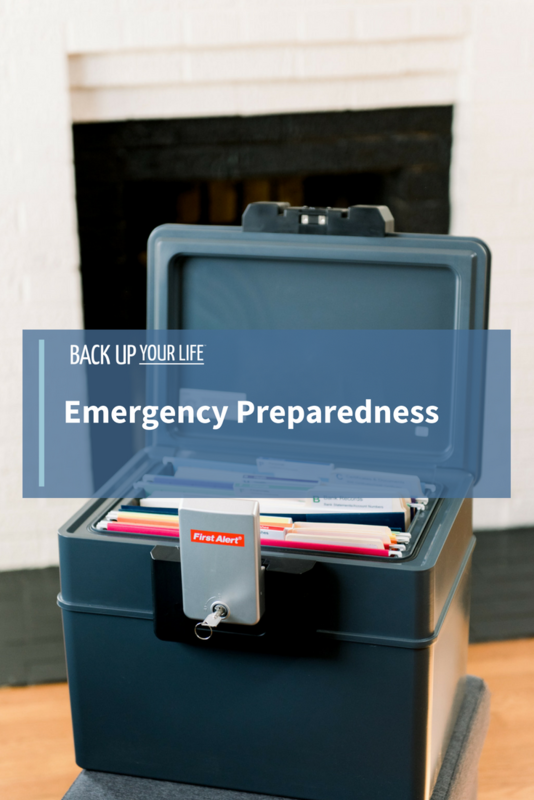 Think if you only had a handful of minutes to evacuate your home, for any reason (medical emergency, natural disaster, zombie apocalypse); could you do so with all the necessary documents to make rebuilding your life easier, if you lost everything else? There are no “what ifs” for those in Houston and the surrounding areas devastated by Hurricane Harvey, those in the Pacific Northwest affected by dozens of ongoing wildfires, those preparing in Florida and the Southeast for Hurricane Irma to make landfall this weekend. Tragedies of any kind present an opportunity to the rest of us to reevaluate the systems we have in place, and provided motivation to complete tasks that always seem to fall on the “I’ll do it later” list. If you have had any moment of: “I should really do X” in the past weeks, I urge you to take the next step! Are all of your important documents and most valuable items (either monetary, or sentimental) in one or two places—instead of all over your home in various rooms? How can you create redundancies to help if the worst happens? Second: leverage the cloud. Specific documents—from insurance policies, home inventories, mortgage statements, etc—can be saved in the cloud or on various service providers so you can access them following the event and have information you need on hand. This will save you frustration, and make phone calls and any filling of forms more efficient. This is a lot to take in. Take a deep breath. Are you feeling overwhelmed by the thought of singlehandedly getting all of these things together? Do you need some help creating a plan to execute? Or just some support to follow through? I can help. Reach out and schedule your complimentary 20 minute phone call to find out how. For anyone in the process of living through these wildfires, and hurricanes—please know that you remain consistently in my thoughts. Be safe, and take care of each other.